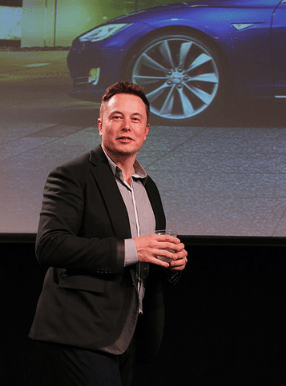 Earlier this week tech entrepreneur Elon Musk released his updated “master plan” for Tesla, including some thoughts on how autonomous mini-buses will supplant today’s transit and “take people all the way to their destination.” Like every Musk pronouncement, this one got a lot of buzz — but it also drew some healthy skepticism. The reigning fantasy of Musk’s argument is that we must always “take people all the way to their destination.” To do this we must abolish the need to ever change vehicles — from a train to a bus, from a car to a train, from a bus to a bike — and of course we also abolish walking. This implies a vision in which buses are shrunk into something like taxis, because a vehicle going directly from your exact origin toyour exact destination at your chosen time won’t be useful to many people other than you. Elsewhere on the Network today: Greater Greater Washington considers whether a plan to link Georgetown to Rosslyn via gondola is realistic. Renew ATL shares a press release about how Atlanta intends to use $260 million in potential sales tax revenue to improve transit, walking, and biking. And The Urban Edge says Nashville’s new transportation plan could be a model for cities across the Sun Belt. Elon Musk Is Wrong. The Only Way to Save City Transport Is to Share Large Vehicles With Other People. One man's genius can't change the geometric facts of cities. It's fitting that the Palo Alto headquarters for Elon Musk's flagship company, Tesla, has an epic logistical problem caused by the spatial inefficiency of its core product. The worst part is rubbing elbows with scary commoners, the Tesla mogul said. Tunneling under major cities, as Musk proposes for his Hyperloop, requires a lot more than "verbal govt approval."